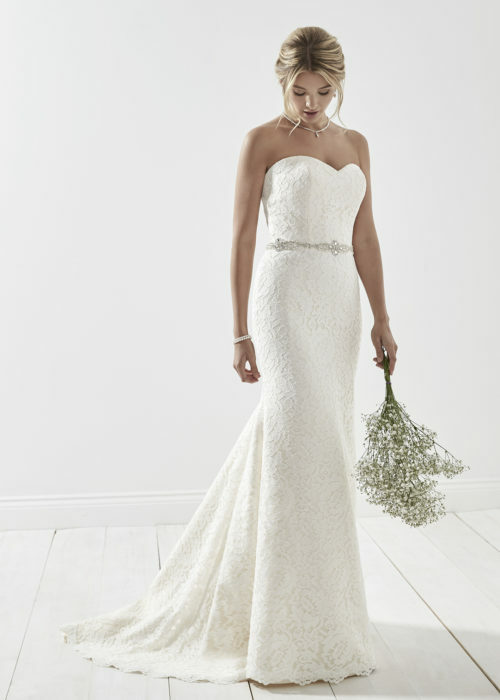 A sophisticated mermaid style, with a v neckline, a gathered cross over bodice, hand beaded belt and finished with a v back. Photographed in All Ivory. Available in All Ivory or All White. Zip back and buttons.